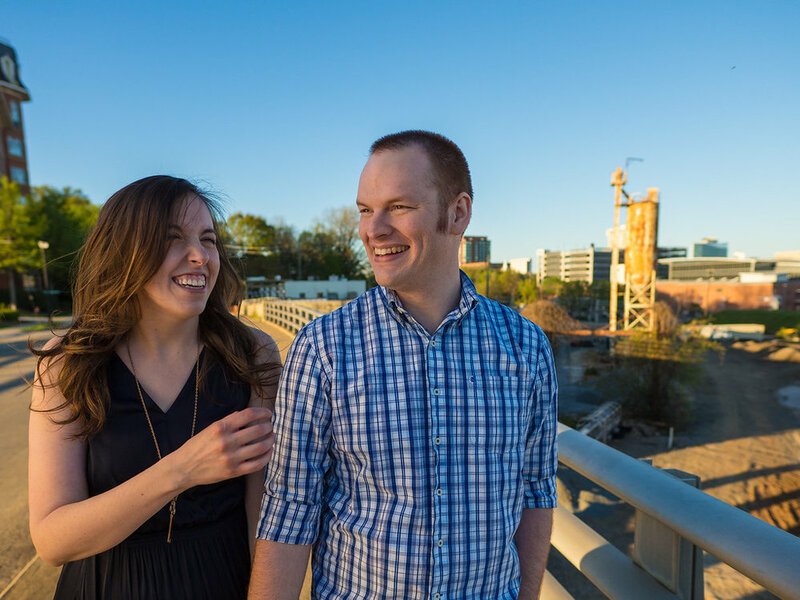 Rochelle and Aaron came up with the idea to have a date-themed engagement session taken around the Warehouse District in Raleigh, NC. More than a romantic couple, they are truly best friends who make each other laugh all the time and love to have fun together. 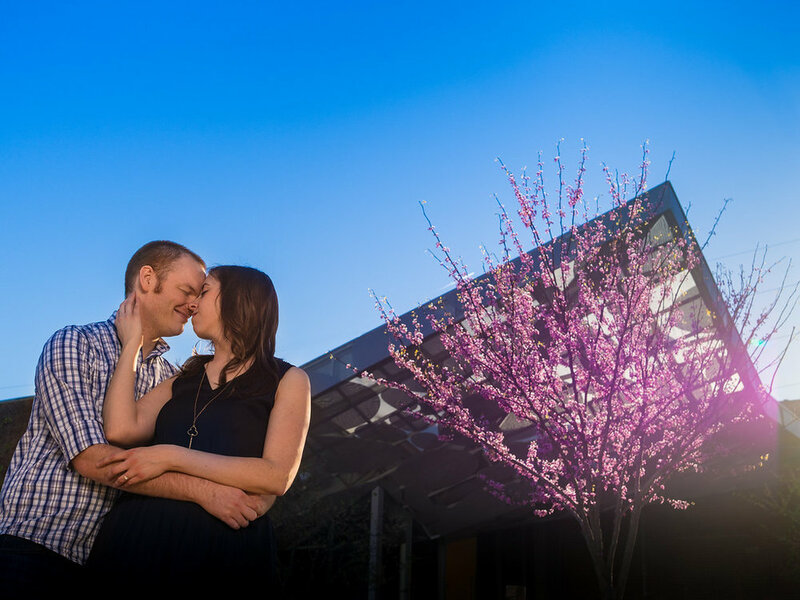 Their energy was perfect for colorful downtown Raleigh in Springtime! 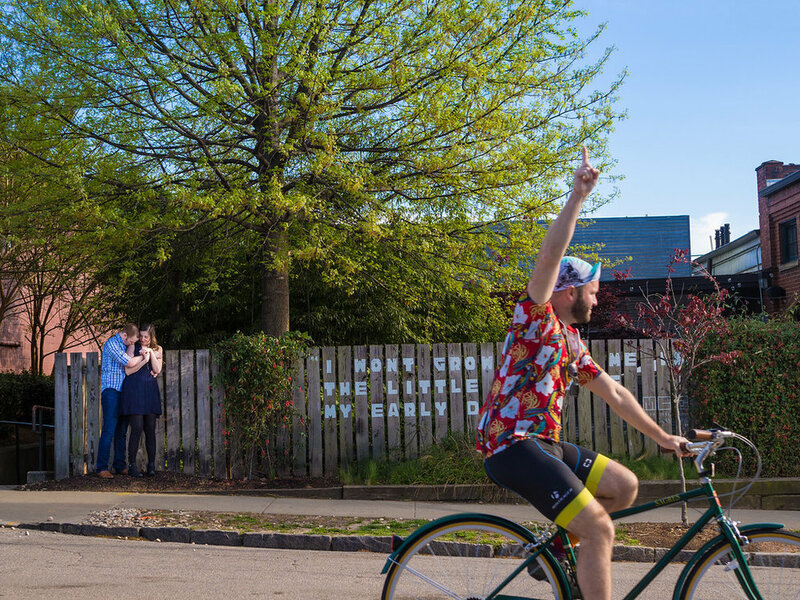 We played vintage arcade games at Boxcar Barcade, strolled around the streets near The Depot and the Contemporary Art Museum, cheered with the crowd riding the Raleigh Pub Trolley, and took in the sunset by the Boylan Bridge overlooking the city. The mood was lighthearted and joyful! We're so excited for their upcoming wedding!